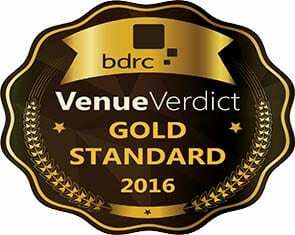 Church House Westminster has achieved BDRC Continental VenueVerdict Gold Standard Accreditation for 2016. The annual Venue Verdict Gold Standard accreditation is awarded to venues who achieve a consistently high standard throughout the year, scoring above the required net promoter score in each of the four qualifying quarters. During 2016, Church House Westminster hosted more than 800 events with a range of new business being attracted to the venue including Osman’s London Fashion Week show, the final curtain call for Billy Elliott the Musical. The venue also underwent a rebrand as well as continued investment in its state-of-the-art AV facilities with the installation of a 4K dual projection and a new sound system in its largest room, the Assembly Hall. Fore more information about Church House please visit https://www.venues-london.co.uk/venues/church-house-westminster/.